It is great fun to work with local businesses and help them create a more comfortable outdoor atmosphere. Fuzzy's Tacos (2909 E Harmony Rd in Fort Collins, CO) had a spacious patio. All it needed was some shade so their customers could enjoy their food without getting a sunburn. We installed posts to hole up the colorful sun sails to provide shade yet now block breezes. 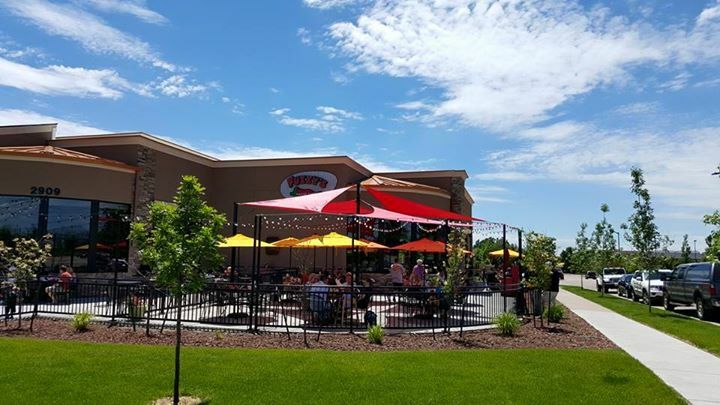 Since Fuzzy's is one of our family's favorite spots for Mexican food, we like eating outside on the patio, too.